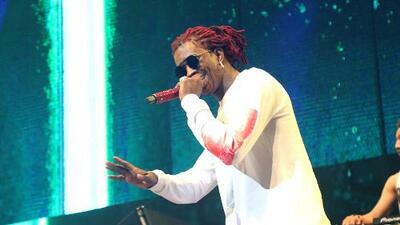 Young Thug is being charged with eight felonies from his latest arrest in Georgia last year. The 27-year-old Slime Language rapper was charged with possession and had the intent to distribute meth, hydrocodone and marijana. He was also charged with possession of amphetamine, Alprazolam, codeine (2 counts) and a weapon. The charges were after YT was arrested in September 2017 for drugs and illegal window tint. It appears that they will be letting the charges for the tint go. Last month in August, Jeffery Lamar Williams was caught with a weapon on him after an album release party.